There’s no doubt about it—the future will be self-published! Savvy writers are taking their careers by the reins and soaring to new heights of success. But how can you make your own work stand out in a crowded market? The key is a skilled book developer. 1. They’re well-written and carefully edited. Want people to take your book seriously? Then you should, too. Self-publishing does not mean going alone. The fact is, even the greatest writers often aren’t the best editors, and it can be particularly difficult to edit your own work. Consider hiring a professional book developer or copyeditor to make sure your work is in the best possible shape. Employing a professional editor strengthens your book—and that can strengthen your sales! 2. They’re professionally designed. Fact is, people do judge books by their covers, and an appealing, well-designed cover sets the tone for what’s contained within. Plenty of readers are put off by bad covers—don’t let sloppy design or ill-chosen images damage your book sales! Investing in a professional designer is a great way to ensure your books are attention-grabbing for the right reason. 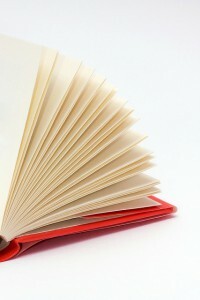 A book designer can also help you create an appealing and well-designed layout for the text of your book. 3. They’re effectively marketed. There are about as many ways to market a book as there are people writing—and not all of those strategies are effective. With the right tools, you can do a fantastic job of getting your audience’s attention. Social media combined with a well-designed, SEO-focused website can grow your platform and boost your sales by connecting with prospective readers. Cover these three basics and you’ll be more than ready to write, publish, and sell your self-published book. But don’t worry if any one of these factors seems particularly daunting; there’s a bevy of expert book developers standing by who can help you edit to perfection, create the cover of your dreams, or develop a whip-smart marketing plan guaranteed to get readers’ attention. Self-publishing doesn’t have to mean going it alone. 2 Comments on "How To Create A Self-Published Book that Sells"
It’s with some determinations and hard work you’ve been trying to pursue it, believing it to yourself are the best formula to create a book.